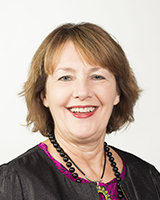 Professor Deborah Bunker is a leading international scholar in organizational collaboration and change management in complex organizational and environmental settings. She a member of the NSW Office of Environment and Heritage funded Human Health and Social Impacts Node hosted at the University of Sydney, as well as being the Chair and Convener of the Interoperability in Extreme Events Research Group and Chair of the International Federation of Information Processing (IFIP) Working Group 8.6 (Transfer and Diffusion of IT). Professor Bunker is also a Multi-Disciplinary Advisory Board Member of the Marie Bashir Institute (MBI)at the University of Sydney. Professor Bunker is a Member of the Research Evaluation Committee (Mathematics, Information and Computing Sciences) for the Excellence in Research for Australia evaluation process (ERA 2018, 2015), immediate Past President (2012 - 2014) of the Australian Council of Professors and Heads of IS (ACPHIS)and General (2011, 2014), Program (2005, 2011) and Doctoral Consortium (2017) Chair of the Australasian Conference in Information Systems. She has been a Track Co-Chair for the International Conference on IS (ICIS 2015) as well as for the upcoming ICIS in San Francisco in December 2018. Professor Bunker is also a Program Co-Chair for the inaugural ICSRAM Asia Pacific Conference in Wellington, in November 2018. Professor Bunker is Senior Editor for Information Technology and People and is also a Section Editor for the Australasian Journal of Information Systems. Professor Bunker’s domains of research include: disaster management, whole of government; health; and small and medium enterprises, looking at: systems adoption and diffusion; collaborative systems; geospatial information management; systems security; cloud computing and social media. She has published in MISQ, Journal of Information Technology, IS Frontiers and Communications of the AIS. Professor Bunker is currently a Chief Investigator on projects that focus on information systems and: the use of social media for crisis response; crisis response in interdependent social-infrastructure systems; and climate, environment and health. Identification of trusted social media sources/roles to support more effective social media use during emergencies. This is a long term collaboration with Professor Stefan Steiglitz from the University of Duisburg/Essen. A collaboration with the Hunter Area Health Service to focus on how communities at risk during disasters, utilize social media to become more resilient and respond to an event. Chief Investigator in a trans-disciplinary project team to analyse data that addresses two critical human health impacts of climate change i.e. changes in the distribution of vector-borne diseases and health impacts of extreme heat; their interactions with land use change, urbanization and the built environment; and governance approaches in the context of policy complexity. Chief Investigator in a trans-disciplinary project team to develop an innovative approach to modelling of social dynamics before and during crises, advancing the emerging field of "social thermodynamics". This is to be initially exemplified in the context of urban transformation. Chief Investigator in the establishment of a “Human Health and Social Impacts Node” (NSW Department of Environment and Heritage Grant) which brings together a number of academics in key University of Sydney institutes as well as the Interoperability in Extreme Events Research Group (IEERG), to work on important projects that will have significant benefits for public health outcomes. Professor Bunker’s research takes a phenomenological perspective utilizing qualitative research approaches that include: detailed and contextualised case studies; hermeneutic analysis; action research and social network analysis. She is currently working with colleagues from the University of Sydney and University of Duisburg-Essen to analyse large social media datasets to better understand the role of self-organising systems and social networks in large scale crisis and disaster events. Bunker D, and Sleigh A (2018) The Future of Spatial Systems for Disaster Management Information Systems for Crisis Response and Management ISCRAM Asia Pacific, Wellington New Zealand 5-7 November. Bunker D, Ehnis C, Levine L, Babar A, and Sleigh A (2018) When worlds collide: The importance of IS alignment for effective disaster recovery 24th Americas Conference on Information Systems (AMCIS 2018); Association for Information Systems (AIS), online. Shahbazi M, Choudhury N, Shahbazi M, and Bunker D (2018) Predicting opinion leaders in large scale enterprise online social networks 11th IADIS International Conference Information Systems 2018; IADIS Press, Lisbon. Shahbazi M, Ehnis C, Shahbazi M, and Bunker D (2018) Tweeting from the Shadows: Social Media Convergence Behaviour During the 2017 Iran-Iraq Earthquake Information Systems for Crisis Response and Management ISCRAM Asia Pacific, Wellington New Zealand 5-7 November. Wendland J, Ehnis C, Clarke R, and Bunker D (2018) Sydney Siege, December 2014: A Visualisation of a Semantic Social Media Sentiment Analysis 15th International Conference on Information Systems for Crisis Response and Management ISCRAM, Rochester, NY USA 20-23 May. Wu H, Smith S, and Bunker D (2018) China and Australia: A Comparison of Management Practices During Flood Disasters Australian and New Zealand Disaster and Emergency Management Conference; Australian and New Zealand Disaster and Emergency Management, Broadbeach, Australia. Bunker D, Levine L, Ehnis C, Sleigh A, and Babar A (2017) When Worlds Collide: Adoption and Diffusion of Information Systems (Is) for Situational Awareness IFIP 8.6 Working Conference 2017: Re-Imagining Diffusion of Information Technology and Systems: Opportunities and Risks, Guimaraes, Portugal 5 June. Bunker D, Mirbabaie M, and Stieglitz S (2017) Convergence Behaviour of Bystanders: An Analysis of 2016 Munich Shooting Twitter Crisis Communication The 28th Australasian Conference on Information Systems ACIS 2017; Australasian Association for Information Systems (AAIS), Hobart. Bunker D, and Sleigh A (2016) Social Media Use and Convergence Behaviours During Disasters: A Cloud with a Silver Lining or a Fog of Manipulation? The 39th Information Systems Research Conference in Scandinavia (IRIS 2016); University West, Ljungskile. Zaitsev A, and Bunker D (2016) Developing an Ontological View of Outsourcing Risk, Risk Categories and Their Relationships Using Protege and Owl 20th Pacific Asia Conference on Information Systems (PACIS 2016); Association for Information Systems (AIS), Chiayi. Zaitsev A, Stevens K, and Bunker D (2016) The Multidimensionality of IT Outsourcing Risks The 27th Australasian Conference on Information Systems (ACIS 2016); Australasian Association for Information Systems (AAIS), Wollongong. Gill A, Bunker D, and Seltsikas P (2015) Moving Forward: Emerging Themes in Financial Services Technologies' Adoption Communications of the Association for Information Systems, 36, 205-230. Bunker D, Hardy C, Babar A, and Stevens K (2015) Exploring Practitioner Perspectives of Sourcing Risks: Towards the Development of an Integrated Risk and Control Framework 26th Australasian Conference on Information Systems ACIS; University Of South Australia, Adelaide. Bunker D, Sleigh A, Levine L, and Ehnis C (2015) Disaster Management: Building Resilient Systems to Aid Recovery Bushfire and Natural Hazards CRC & AFAC Annual Conference 2015; Bushfire and Natural Hazards CRC, Adelaide Australia. Kroenke D, Bunker D, and Wilson D (2014) Experiencing MIS (3rd edition); Pearson Australia, Australia. Ehnis C, Mirbabaie M, Bunker D, and Stieglitz S (2014) The Role of Social Media Network Participants in Extreme Events 25th Australasian Conference on Information Systems; AUT University, Auckland. Bunker D (2013) Who Are We? Defining The IS Discipline By A Set Of Principles IADIS International Conference e-Society 2013; IADIS International association for development of the information society, Lisbon, Portugal. Ehnis C, and Bunker D (2013) The Impact of Disaster Typology on Social Media Use by Emergency Services Agencies: The Case of the Boston Marathon Bombing 24th Australasian Conference on Information Systems (ACIS2013); RMIT University, Melbourne, Australia. Kroenke D, Bunker D, and Wilson D (2012) Experiencing MIS (2nd edition); Prentice Hall, Australia. (Qumer) Gill A, and Bunker D (2012) Crowd Sourcing Challenges Assessment Index for Disaster Management 18th Americas Conference on Information Systems AMCIS 2012; Association for Information Systems (AIS), Seattle, United States. (Qumer) Gill A, Bunker D, and Seltsikas P (2012) Evaluating a communication technology assessment tool (CTAT): A case of a cloud based communication tool 16th Pacific Asia Conference on Information Systems PACIS 2012; Association for Information Systems (AIS), Ho Chi Minh City, Vietnam. Bunker D (2012) Using Historical Narrative to Understand Strategy as a Tool Special Strategy-as-Practice Workshop; Paris Dauphine University, Paris, France. Bunker D (2012) Social Media, Information Governance, Self-Organizing Systems and Sustainability: Issues in Disaster Management SIGGreen Pre-ECIS2012 Workshop: Green IS for Sustainability in Education, Research and Practical Solutions; Association for Information Systems (AIS), Barcelona, Spain. Ehnis C, and Bunker D (2012) Social Media in Disaster Response: Queensland Police Service - Public Engagement During the 2011 Floods 23rd Australasian Conference on Information Systems ACIS 2012; Deakin University, Geelong, Australia. Seltsikas P, Bunker D, Dawson L, and Indulska M (2011) Proceedings of the Australasian Conference on Information Systems ACIS 2011 - "Identifying the Information Systems Discipline", Sydney, Australia, 30th November - 2nd December 2011; Association for Information Systems (AIS), Sydney, NSW, Australia. Bunker D (2011) Serendipity in Disaster and Complex Scenarios 1st International Workshop on Encouraging Serendipity in Interactive Systems, 13th IFIP TC13 Conference on Human-Computer Interaction; Springer, Lisbon, Portugal. Smith S, Winchester D, Bunker D, and Jamieson R (2010) Circuits of Power: A Study of Mandated Compliance to an Information Systems Security De Jure Standard in a Government Organization MIS Quarterly, 34 (3), 463-486. Kroenke D, Bunker D, and Wilson D (2010) Experiencing MIS; Pearson Education. Riemer K, and Bunker D (2010) Contextualizing IS in Business: $ R Us Financial Planning - A Modular Teaching Case for Introductory 1st Year General Business MIS Courses International Conference on Information Systems (ICIS) 2010; Association for Information Systems (AIS), USA. Riyadh A, Bunker D, and Rabhi F (2010) Barriers To E-Finance Adoption In Small and Medium Sized Enterprises (SMES) In Bangladesh 5th International Conference on Qualitative Research in IT & IT in Qualitative Research (QualIT2010); Queensland University of Technology, Australia. MacGregor R, Bunker D, and Kartiwi M (2010) The Perception of Barriers to E-commerce Adoption by SMEs: A Comparison of Three Countries Global Perspectives on Small and Medium Enterprises and Strategic Information Systems: International Approaches; IGI Global, Hershey, United States, 145-168. Ballsun-Stanton B, and Bunker D (2009) Philosophy of Data (PoD) and Its Importance to the Discipline of Information Systems 15th Americas Conference on Information Systems AMCIS 2009; Association for Information Systems (AIS), San Francisco. Bunker D, and Smith S (2009) Disaster Management and Community Warning Systems: Inter-Organisational Collaboration and ICT Innovation Pacific Asia Conference on Information Systems PACIS 2009; Association for Information Systems (AIS), USA. Cecez-Kecmanovic D, Jap T, and Bunker D (2008) Business Strategy Enactment through an IS: A Sensemaking Approach 16th European Conference on Information Systems (ECIS) 2008; Association of Information Systems, Galway, Ireland. Smith S, Jamieson R, Bunker D, and Winchester D (2008) Moving Towards Information System Security Accreditation Within Australian State Government Agencies 14th Americas Conference on Information Systems (AMCIS 2008); Association for Information Systems (AIS), Atlanta. Gregor S, Bunker D, Cecez-Kecmanovic D, Metcalfe M, and Underwood J (2007) Australian Eclecticism and Theorizing In Information Systems Research Scandinavian Journal of Information Systems, 19 (1), 11-38. Van Toorn C, Bunker D, Yee K, and Smith S (2007) The Barriers to the Adoption of e-Commerce by Micro Businesses, Small Businesses and Medium Enterprises International Journal of Knowledge, Culture and Change Management, 6 (9), 107-122. Bunker D, and Cecez-Kecmanovic D (2007) A Perspectival View of ICT Strategy and Strategizing: Australian Government ICT Outsourcing 1996 – 2001 ICIS 2007 International Conference on Information Systems: 'How emerging technologies are shaping and are shaped by strategy - a JSIS (Journal of Strategic Information Systems) workshop'. Pang V, and Bunker D (2007) Inter-Organizational Systems (IOS) for Supply Chain Management (SCM): A Multi-Perspective Adoption Framework PACIS 2007: 11th Pacific Asia Conference on Information Systems: Managing diversity in digital enterprises; University of Auckland, New Zealand. Pang V, Bunker D, and Smith S (2007) The Influence of Industry Culture in an Inter-Organisational Information System Adoption Process 18th Australasian Conference on Information Systems (ACIS 2007); University of Southern Queensland, Toowoomba, Australia. Kartiwi M, MacGregor R, and Bunker D (2006) Electronic Commerce Adoption Barriers in Indonesian Small Medium-sized Enterprises (SMEs): An Exploratory Study 12th Americas Conference on Information Systems; AIS Electronic Library (AISeL). MacGregor R, Bunker D, and Vrazalic l (2006) Small Business Adoption of E-commerce: A Comparison of B2B and B2C Businesses 12th Americas Conference on Information Systems; AIS Electronic Library (AISeL). Smith S, Bunker D, and Pang V (2006) Does Agency Size Affect Security Compliance for E-Government Tenth Pacific Asia Conference on Information Systems (PACIS 2006); Universiti Putra Malayasia, Malayasia. Bunker D, and Yin L (2005) The Effect of E-Commerce Adoption on Small/Medium Enterprise (SME) Industry Structure, Competitive Advantage and Long-term Profitability Australian Accounting Review, 15 (37 Suppl), 55-66. Campbell B, Underwood J, and Bunker D (2005) Proceedings of the 16th Australasian Conference on Information Systems (ACIS 2005); Australasian Chapter of the Association of Information Systems, Sydney, NSW, Australia. Bunker D (2005) A Non-Reductionist Approach to ITS Management Research: Integration/Reconciliation of Subject/Object from a Phenomenological Perspective 3rd Phenomenology, Organisation and Technology Workshop. Bunker D, and Campbell J (2005) A Perspectival Punctuated Action (PPA) Approach to Policy Development in Information Technology and Systems (ITS) 16th Australasian Conference on Information Systems (ACIS 2005); Australian Chapter of the Association for Information Systems, Australia. Bunker D, and Kirin M (2005) Inhibitors To The Diffusion And Adoption Of Mobile Commerce Technologies In The Australian Context 12th European Conference on IT Evaluation. Bunker D, Cole M, Courtney J, Haynes J, and Richardson S (2005) Philosophical Foundations of Information Systems: A Review of the First 10 Years 11th Americas Conference on Information Systems (AMCIS 05); Association for Information Systems (AIS), Omaha, NE, USA. MacGregor R, Vrazalic l, and Bunker D (2005) Are the Standard Drivers for E-commerce Adoption in Regional SMEs Really Standard: A Comparison of Australian, Swedish and US Regional SMEs 6th International We-B Conference - "Working for E-Business". Pang V, and Bunker D (2005) Development of a Framework to Examine the Collaborative Process in Inter-Organisational System Adoption 2nd Annual Conference on IS/IT issues in Asia Pacific (ISAP). Supporting Aboriginal Families’ Resilience During a Public Health Emergency: Developing Trusted Relationships Through Social Media Adoption; Industry Partnership Grant. Social Media Use in Extreme Events: Evaluating the Trustworthiness of the Source of User-Generated Content; Australia-Germany Joint Research Co-operation Scheme. Social Media and Crisis Response: An Analytical Framework and Tool to aid Emergency Service Agencies; Universities Australia Group of Eight Grant 2014-2015.